Advertiser disclosure We do receive compensation from some partners whose offers appear here. That's how we make money. Compensation may impact where offers appear on our site but our editorial opinions are in no way affected by compensation. The Ascent does not cover all offers on the market. Our commitment to you is complete honesty: we will never allow advertisers to influence our opinion of offers that appear on this site. Editorial disclaimer: We’re firm believers in the Golden Rule. If we wouldn’t recommend an offer to a close family member, we wouldn’t recommend it on The Ascent either. Our number one goal is helping people find the best offers to improve their finances. That is why editorial opinions are ours alone and have not been previously reviewed, approved, or endorsed by included advertisers. Editorial content from The Ascent is separate from The Motley Fool editorial content and is created by a different analyst team. Check out our shortlist of top credit card picks, some of which are from our partners, to uncover which offer is best for you. We won’t sugarcoat it -- having bad credit can make it a little challenging to get a credit card, particularly a high limit credit card. But since as many as 3 out of 10 Americans have a “bad” credit score, banks and credit card issuers are increasingly rolling out new products designed for people who have bad credit or no credit history at all. Having bad credit doesn’t mean that you can’t get a credit card, but it does mean you have to be more selective. Data points suggest that people who have a credit score below 600 average a credit limit of $2,645, according to Experian data. It's worth setting your expectations as well, since it's common for cardholders with low credit scores to be approved for less than that amount. Annual fees also play an important role. Which is why our shortlist below only includes two secured credit cards, both of which don't charge an annual fee. Higher credit limit cards are available in the market (you'll pay an annual fee, among other fees) but we think you'll better conquer your money goals by focusing on offers with no annual fees, even if that means a lower credit limit and providing a security deposit. Building credit is the main play with cards in this category and we think our picks are solid solutions that can improve your credit score with wise credit management. 4.0 stars We want your money to work harder for you. Which is why our ratings are biased toward offers that deliver versatility while cutting out-of-pocket costs. Credit limit -- $200 to $2,500, depending on approved security deposit. One of the best secured cards we've come across with a solid rewards program and no annual fee. It's a real credit card. You can build a credit history with the three major credit bureaus. Generally, debit and prepaid cards can't help you build a credit history. We automatically match all the cash back you've earned at the end of your first year. Credit limit -- $300 min. Online reviews show cardholders with multiple increases to their credit limits in the first year with some reports as high as $1,000 per instance. Below, we’ll detail everything you need to know about having bad credit, how it impacts your ability to get a credit card, and give you some tips for maximizing your approval odds and your credit limits. What’s a bad credit score? When we set a goal to find the best credit cards on the market for The Ascent, we knew that it meant we'd have to sort through the fine details on hundreds of cards. In doing so, we discovered a handful of hidden gems that thread the needle for being open to people with imperfect credit while at the same time offering relatively high limits upon approval. We boiled down a list of more than 300 card offers, sorting out winners and losers to find cards that offer it all -- high limits, high approval rates, and perks that make them worth having in your wallet for years to come. A FICO® Score can range from 300 all the way up to 850. Admittedly, the break points in credit scores can be very subjective. For our purposes, we think of “bad credit” as being in the neighborhood of a FICO Score® of 650 or below. Roughly 30% of Americans have a credit score in this range; so it’s not as uncommon as you may think. The important thing here is that having a credit score in our “bad credit” range is that it is usually the result of having some relatively recent delinquencies (late payments), high balances on your existing loans or cards, or both. Having a shorter credit history will magnify the impact of high balances or late payments, and thus having just one “bad” mark on a thin credit file could put you in bad score territory. Having bad credit does not disqualify you from getting approved from a credit card. The reason you have bad credit is arguably more important than the fact that you have bad credit in the first place. If you have bad credit because you have a $480 balance on a $500 credit card, you’re probably more likely to get approved for a credit card than someone who has bad credit because of a recent bankruptcy filing. Likewise, if you earn $60,000 per year but have bad credit, you still have a leg up on someone who has excellent credit but only earns $10,000 per year. All this is to say that bad credit is just one thing that a card issuer considers when they decide whether or not to approve your credit card application, and how large of a credit limit to give you when you apply. Here are some ways to improve your odds of getting approved for a high credit-limit credit card. Apply with an issuer who knows you -- It can be an advantage to worth with a card issuer with whom you have an existing relationship. Consider applying for a new credit card from an issuer with whom you have a checking account, savings account, car loan, or credit card in good standing. The more information a card issuer has to make a credit decision, the more likely they can approve you for a card and a higher credit limit. Put your best foot forward -- Most people know that having high balances or late payments can hurt their credit scores, but fewer know that having a large number of balances (even small balances) can also hurt your score. As myFICO explains on its website, “a larger number of accounts with amounts owed can indicate higher risk of over-extension.” Thus, it may make sense to pay down any small balances that you have on store cards or other loans to zero before applying for new credit. Logic follows that if you have a bunch of small balances, you might not have a good understanding of your overall financial picture. Verify you don’t have errors on your credit report -- Millions of Americans have a bad credit score because of certain inaccuracies on their credit reports. Credit bureaus are not perfect -- errors happen. If you don’t know why your credit score is low, it could be that someone else’s delinquency is listed on your account (this happens most commonly when you share a name or address with someone else), or a bill was filed as delinquent, even though you paid it off years ago (medical billing is notorious for being a credit report nuisance). If you know you have bad credit because you’ve been denied for credit in the past, but you don’t know why you have bad credit, it may be time to pull up your credit records and make sure that someone else’s mistake isn’t negatively affecting your credit report. People who have bad credit are much more likely to get denied when they apply for a credit card, but there is one type of card that offers a near-guarantee of approval: Secured credit cards. Secured credit cards are different than most credit cards. The key difference is that they require you to make a deposit at the time of approval. Thus, to get a secured card with a credit limit of $1,000, you would have to put down a $1,000 deposit as collateral, though many cards allow you to start with as little as $200. You can pick your own credit limit -- Some cards allow you to make a larger deposit to get a bigger credit limit. 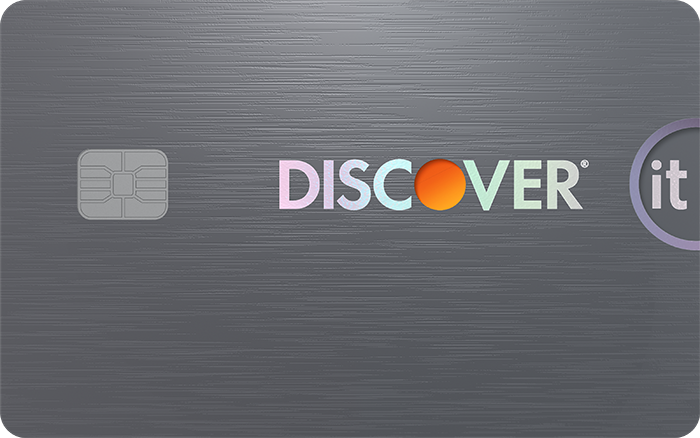 Discover it Secured is one such card, as it allows you to deposit as little as $200 for a $200 credit limit, or as much as $2,500 for a $2,500 credit limit. To this end, secured cards can be a very good way to get a higher credit limit reported on your credit report. Secured cards report to all three credit bureaus -- Our favorite picks in secured cards report your account to Experian, Equifax, and TransUnion, so that every payment you make on time will help you build and improve your credit score so that you can get approved for better cards at a later time. You can earn rewards -- As competition in credit cards heats up, secured cards now offer cashback rewards on every $1 you spend, benefits that are usually reserved for credit cards for people who have good or better credit scores. Believe it or not, many secured cards now have better rewards programs than some unsecured credit cards. Secured cards can graduate into unsecured cards -- After several months of on-time payments, your credit limit may be increased, or your secured card may be turned into an unsecured credit card. So, if you open a secured card with a $200 deposit for a $200 credit line, it’s possible that the card will turn into an unsecured card, at which point your deposit will be returned to you. Data points suggest that cardholders can quickly graduate to an unsecured credit card, and shortly thereafter, get approved for a credit limit increase to get a higher credit limit. The deposit requirement may make a secured card a less attractive alternative to an ordinary unsecured card, but they shouldn’t be ruled out entirely. At the least, consider them a “backup” option. A secured card can put you on the path to a higher credit score in as little as just a few months, which can open the door to better credit cards later. The credit limit you receive when you open a new credit card account is not necessarily the highest possible credit limit you can receive from that card. With a few tips and tricks, you may be able to turn a low limit credit card into a high limit credit card. Here’s how to do that. Most card issuers allow cardholders to request an increase to their credit limits every 6 to 12 months, based on your historical purchasing patterns and payment history. Cardholders who religiously request a credit limit increase when possible can walk up their credit limits over time. Few people know that you can often “move” credit limits from one card to another. Thus, it may be possible to turn two cards each with a $3,000 limit into a $5,000-limit card and a $1,000-limit card. Though this doesn’t increase your total available credit, it can help you minimize your credit utilization ratio on the card you use the most. Report income accurately (and update it!) Rushing through a credit card application can be a mistake, as it’s easy to understate your income. Most card issuers ask for your annual gross income, or how much you make before deductions for taxes, health insurance, retirement savings, etc. Furthermore, you might be surprised what qualifies as income. Some student cards explain that scholarships and grants for living expenses can be treated as income on your application, for instance. All else equal, the higher your income, the higher your credit limit can be. When you request a credit limit increase, many card issuers will ask you to update your information so they can make a more informed decision about the limit to extend to you. Having a high credit limit is about more than just having a few extra points on an invisible credit scoreboard. A high limit can help you in a number of ways. Flexibility -- A high credit limit can be a big perk when it comes to shopping for major purchases like new furniture or home improvement supplies. When you need to make a major purchase, it’s nice to know that you’ll be able to pay for it with one swipe, without maxing out your limits. Since credit cards have a 25 day grace period on top of a 30-day billing cycle, you may have as long as 55 days to pay for a purchase without paying interest. A boost to your credit score -- Having a high limit will almost certainly help your credit utilization ratio, which is one of the most important components of the FICO® Score algorithms. Credit utilization measures how much credit you use as a percentage of the credit available to you. Thus, it’s much better to have a $2,000 balance on a card with a $10,000 limit than have a $2,000 balance on a card with a $3,000 limit. It shows responsibility -- Should you need to apply for other types of credit later, having a high credit limit card in good standing is a good indicator that you’re capable of managing access to larger amounts of credit. Some data points suggest that some of the most elite rewards cards are more likely to accept applicants who already have large credit lines from other issuers. If you’ve successfully managed a high limit in the past, you’re more likely to do it in the future. The Motley Fool owns shares of and recommends Mastercard. We’re firm believers in the Golden Rule. If we wouldn’t recommend an offer to a close family member, we wouldn’t recommend it on The Ascent either. Our number one goal is helping people find the best offers to improve their finances. That is why editorial opinions are ours alone and have not been previously reviewed, approved, or endorsed by included advertisers. Editorial content from The Ascent is separate from The Motley Fool editorial content and is created by a different analyst team. Copyright © 2018 - 2019 The Ascent. All rights reserved.